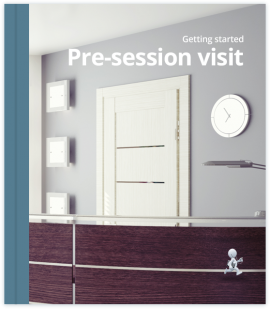 Many practices will offer for you to visit on a day prior to your first session and it’s usually a good idea to take them up on this, especially when you’re just starting out. If the offer is not made, you can always ask to visit. This is a great time to meet the staff, familiarise yourself with the building and how things work and to ask for a login, so that when the time comes, you won’t have trouble accessing the system. See it as a chance to take pressure off that first session. Even navigating to the practice itself can be useful! How are referrals for physio/ X-rays/ bloods managed? Dictation- what method is used? Who do I speak to once done? Who can I contact regarding non clinical, or clinical queries on the day? Often practices will have a locum folder with this information in it, so it’s always worth asking. This pre-session visit is also a chance to familiarise yourself with the computer system and chat through any questions about it. It’s worth noting down any specifics for reference on the day. In Locum Organiser you can store notes for your practices, which can help with this.